We are “This Close” to ending polio. Join Amanda Peet, Bill Gates, Archie Panjabi, Jackie Chan, Pau Gasol, Itzhak Perlman, Anil Kapoor, Desmond Tutu, Jane Goodall, Jack Nicklaus, Angelique Kidjo and supporters across the globe in the fight to end polio. Take action at EndPolioNow.org. Because I’m a member of the Greater Moncton Sunrise Rotary Club, I mentioned that today is World Polio Day on my Twitter and Facebook accounts. I thought polio was only a disease that people in far-away countries contracted, but I heard from three Facebook friends about their personal experiences. One university classmate’s father had polio in young adulthood and had to wear a leg brace for the rest of his life after that; another friend’s sister died only three weeks after her wedding in 1960 (and only three days after symptoms appeared! ); and yet another Facebook friend had polio herself at one time! I had no idea! To learn more about Rotary International’s efforts in eradicating polio, visit EndPolioNow.org. 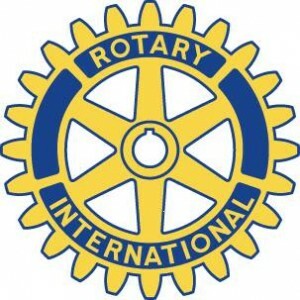 For more information on the Greater Moncton Sunrise Rotary Club, visit our Facebook page at facebook.com/GreaterMonctonSunriseRotaryClub or follow us on Twitter at @GMSunriseRotary. We meet every Tuesday morning at Maverick’s Steakhouse & Grill inside the Future Inns Moncton Hotel and Conference Centre located at 40 Lady Ada Boulevard just off Mapleton Road. Fellowship from 7:15 a.m. to 7:30 a.m. Meeting from 7:30 a.m. to 8:30 a.m. Also, feel free to call contact me personally.